The best way to go forward? Leave the map behind. 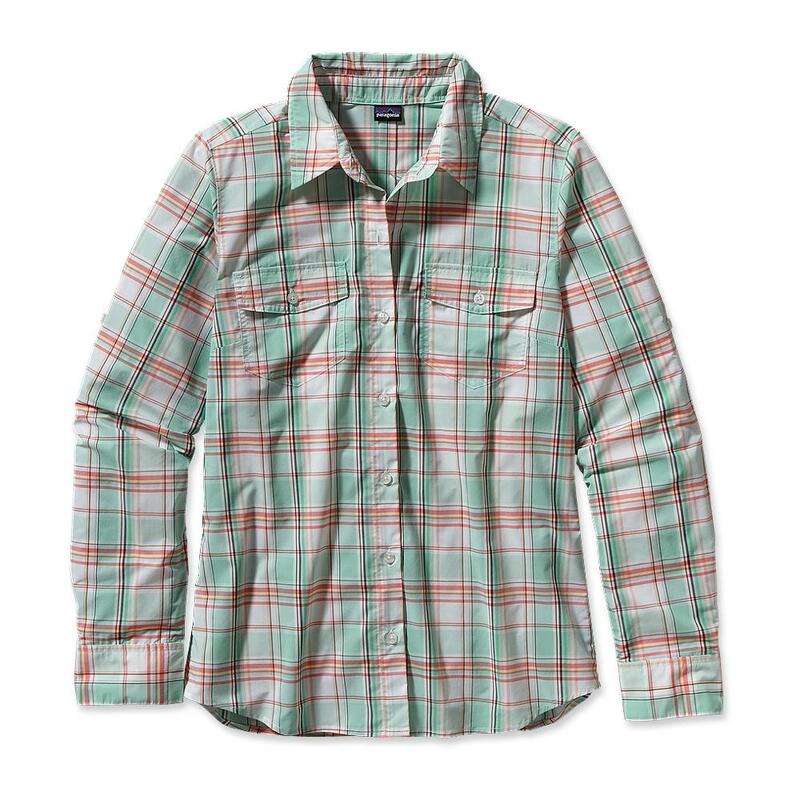 Patagonia makes the Men’s Long-Sleeved Gone Again Shirt for globe wandering, with an airy blend of nylon and polyester that stretches when you’re on the move. The Gone Again’s fabric feels cool and soft against your skin and provides 30-UPF sun protection for traveling under the sun. Sink-wash it and it emerges unscathed; it dries quickly and resists wrinkles. 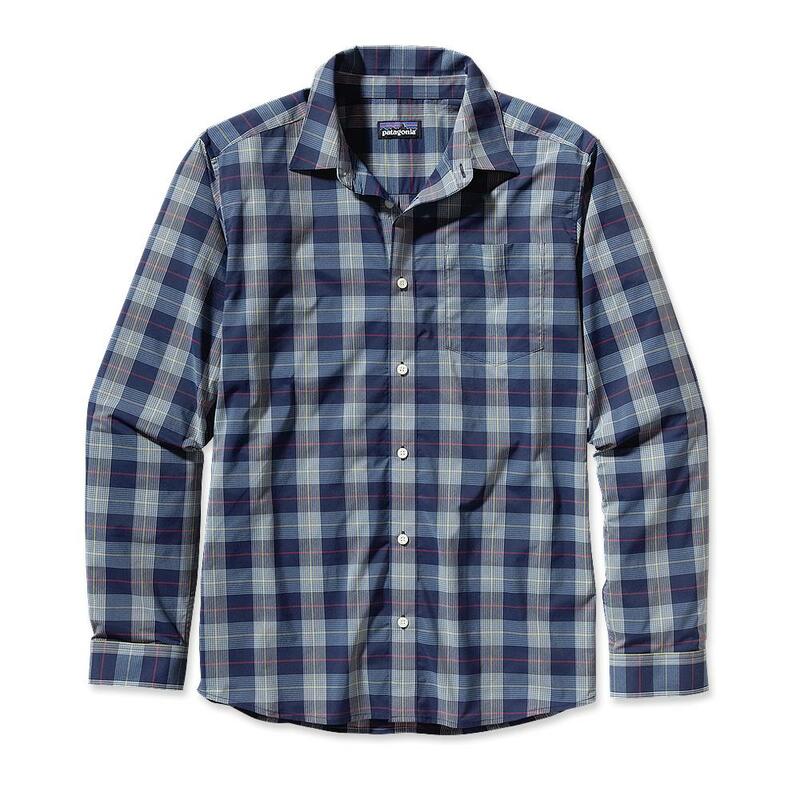 With a front-button placket, single chest pocket and a shirttail hem for tucking options. A similar garment for women is the Long-Sleeved Overcast Shirt. Venturing out into a Colombian jungle or concrete jungle is decidedly more civil in the Overcast. This sophisticated yet simple button-front shirt shields you from the sun and chilly air conditioning as expertly as it does from savage mosquitos. Made from a lightweight blend of 2.3-oz 52% nylon and 48% polyester, it has a pleat at the back yoke that helps keep you cool in humid climes, sleeves that roll up and secure with buttoned tabs when temps rise, two small chest pockets with button flaps and a feminine silhouette that hits at the hip. Also boasts 30-UPF sun protection, wrinkle resistance and mechanical stretch.